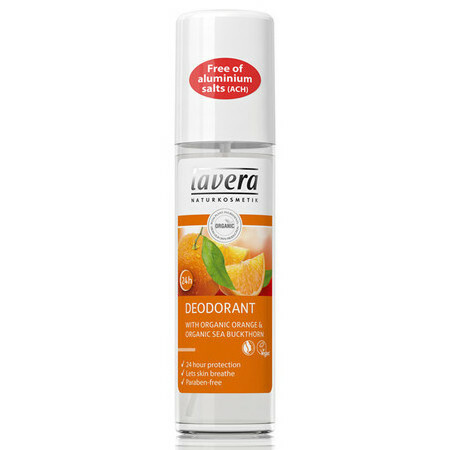 Feel fresh all day with the Organic Orange and Organic Sea Buckthorn Spray Deodorant by Lavera. Made from extracts of Organic Green Tea and Natural Witch Hazel and without bicarb soda, this beautifully energising aroma has a soothing anti-inflammatory effect. 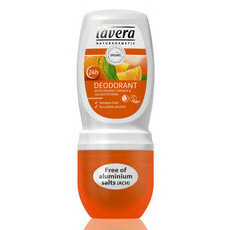 Aluminium free, housed in a glass bottle and perfumed only with essential oils and provides 24 hour protection. Made in Germany, Certified Natural by NATRUE. Certified Vegan. GMO Free. No Animal testing. I really like this smell and it's a pretty good odour concealer. 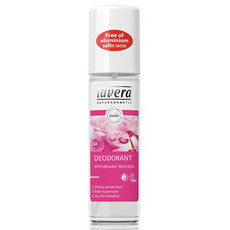 I had high hopes for this deodorant however it missed the mark for me. I would imagine this may be okay if reapplied every few hours, as it did last a few hours before I began to smell. This has a VERY heavy/strong fragrance of bitter orange & citronella. It does fade after a few minutes but those bothered by heavy fragrances should probably steer clear. 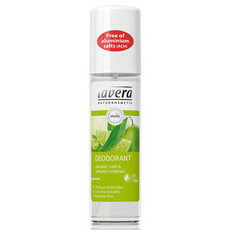 This is pretty good for a natural deodorant, lasts most of the day with a gorgeous citrusy scent. 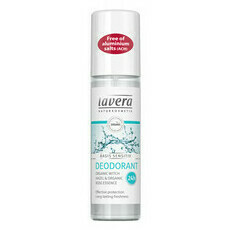 Love that it is a spray but I am going through it quite quickly, however I find I am odour free for longer than the same Lavera deodorant in the roll on.